A*STAR researchers have found that incorporating organic materials into lithium ion batteries could lower their cost and make them more environmentally friendly. 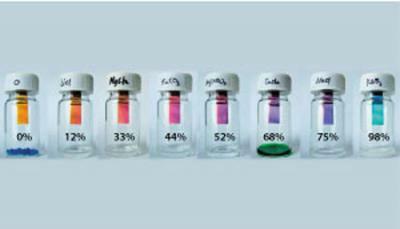 The team has developed an organic-based battery cathode that has significantly improved electrochemical performance compared to previous organic cathode materials. 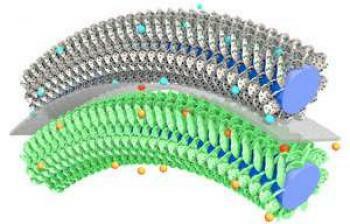 The new material is also robust, remaining stable over thousands of battery charge/discharge cycles. An electron-deficient, rigid organic molecule called hexaazatrinaphthalene (HATN) was previously investigated as an organic cathode material for lithium ion batteries. However, its promising initial performance declined rapidly during use, because the molecule began to dissolve into the battery’s liquid electrolyte. A new cathode material, in which HATN was combined with graphene oxide in an attempt to prevent the organic material from dissolving, has now been developed by Yugen Zhang and his colleagues from the A*STAR Institute of Bioengineering and Nanotechnology. Researchers at A*STAR have designed a low-cost, stable and ultrafast graphene oxide-based responsive humidity sensor that is said to be easy to manufacture, overcoming the challenge of producing a simple, fast and highly sensitive version. The ability to monitor and control humidity levels using accurate and reliable sensors is essential for efficient manufacturing and storage practices as well as everyday life. Unlike most humidity sensors, which are electronic and require a power supply, GO-based colorimetric sensors respond to humidity levels by changing color that can be easily observed. For greater accuracy, the change in color can be quantitatively measured by analyzing the reflection spectra of the sensor. Because the GO sensor operates at the atomic level, it can rapidly respond to moisture changes. Researchers at A*STAR have found that graphene could be helpful in improving the performance of computer hard drives. Hard drives store data by using magnetic fields to change the properties of a small section of a magnetically sensitive material. Decreasing the size of this section increases the drive’s capacity but also increases the size of the magnetic field required for switching. Furthermore, the minimum size of the magnetic field is limited by an effect known as superparamagnetism, in which the magnetic properties at the nanometer-scale can spontaneously change, losing any stored information. HAMR (heat-assisted magnetic recording) is a method that uses a laser beam to heat the storage medium to a temperature at which the magnetic field strength required for writing is lower and superparamagnetism is less prevalent. A collaboration between the A*STAR Singapore Institute of Manufacturing Technology (SIMTech) and the Massachusetts Institute of Technology (MIT) in the United States has proposed a versatile, directional graphene-based X-ray source that potentially could fit on a laboratory bench. An X-ray source that is both small and powerful is a highly desirable concept. The researchers wanted to create something that is compact and also capable of producing very intense X-rays, essentially implementing the concept behind the enormous free-electron-laser sources on a scale small enough to fit on a laboratory table or even a microchip. For this purpose, the team utilized graphene's ability to support plasmons — collections of electronic oscillations that can be used to confine and manipulate light on scales of around ten nanometers. The scientists explain that Graphene plasmons are a natural option because they are capable of confining electromagnetic radiation to very small scales. Researchers at A*STAR have developed an 'asymmetric' supercapacitor based on vertically aligned graphene nanosheets coated with iron nitride and titanium nitride as the anode and cathode, that could be a viable energy storage solution. While traditional supercapacitors use the same material for both electrodes, the anode and cathode in an asymmetric supercapacitor are made up of different materials. Scientists initially used metal oxides as asymmetric supercapacitor electrodes, but as metal oxides do not have particularly high electrical conductivity and become unstable over long operating cycles, it was clear that a better alternative was needed.